One of the American publicist and television personality is Rebecca Jill Kufrin is famous as Becca Kufrin. She is best known for her roles in the 22nd season of ABC’s The Bachelor and lead in the 14th season of The Bachelorette. 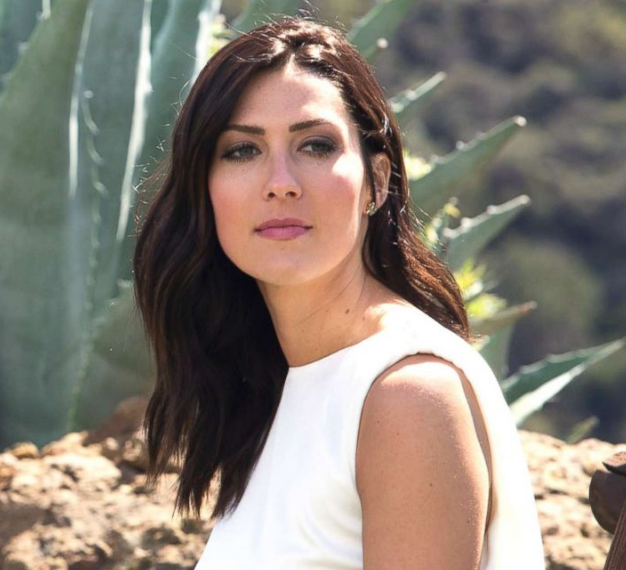 Becca Kufrin full name is Rebecca Jill Kufrin. She is born on 3 April 1990 at Benson, Minnesota. She was raised in Prior Lake, Minnesota. Her father name is Steve Kufrin and mother name is Bill Kufrin. She has an older sister named Emily. She graduated from Prior Lake High School in 2008. She got a bachelor degree in Science in Mass Communication from Minnesota State University in 2012. Becca's height is 5 feet 7 inch and weight is 56 kg. She has blue color eyes and hair is of dark brown color. She has a healthy body. She worked at Skyya communications in Minneapolis, Minnesota. In the season of The Bachelor, she was 1the contestant. She won the season. She was announced as the Bachelorette on 6 March 2018 on ABC’s After the Final Rose Special which premiered on 28 May 2018. Becca ex-boyfriend Ross Jirgl proposed her in Peru but she declined him. But later she was dumped by Luyendyk for Lauren Burnham who was the runner-up of the bachelor season. She was single. But recently she has been caught kissing a man and the man is Garrett Yrigoyen. They are engaged to each other and she has accepted his marriage proposal. Becca net worth is estimated to be $200 thousand.